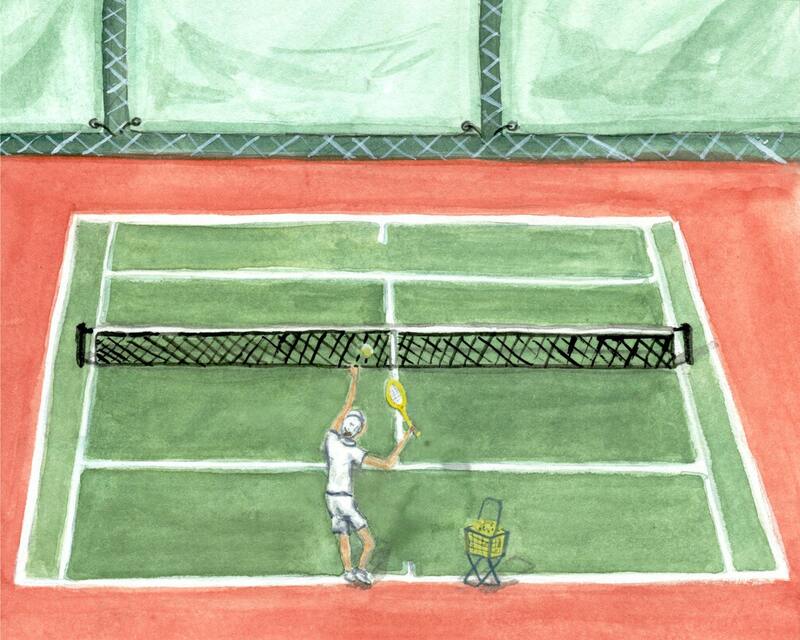 This watercolor tennis wall art print is the perfect gift for tennis players! 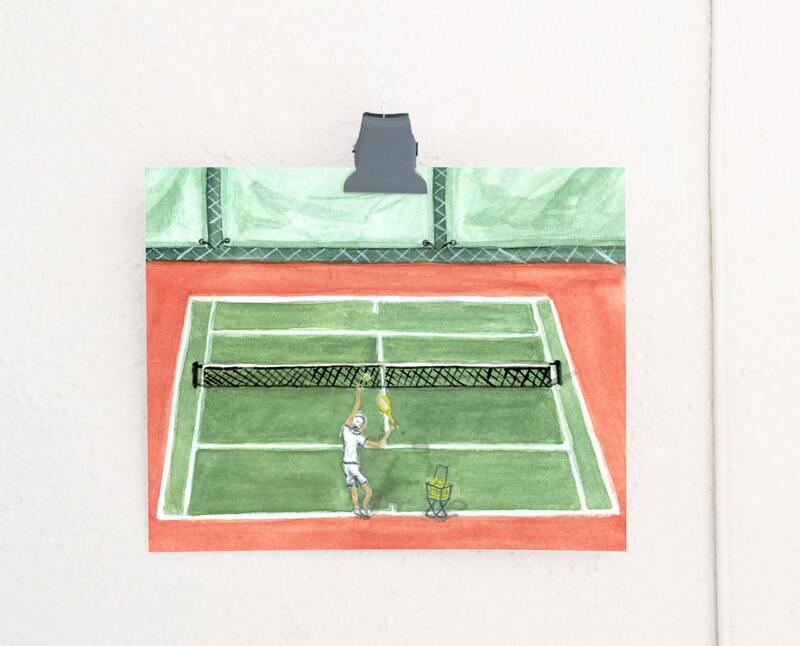 Featuring a single player practicing his serve, this tennis wall decor will inspire any tennis player whether they're getting ready to play a match or waiting through the off-season. This tennis art print is created using pigment inks on acid-free paper for longevity and to accurately represent the original watercolor painting.